Orange Beach gulf-front condo for sale at Turquoise Place. This unique beachfront property features an array of resort-style amenities, offering the best in gulf coast living. This residence features numerous upgrades such as 24″ porcelain tile flooring in the living areas, with carpet flooring in bedrooms, hot tub & outdoor gas grill on large, private balcony, Subzero & Wolf appliances kitchen that include a gas cook-top, a double-oven with microwave and a warming-drawer. wine cooler & ice maker, granite counter-tops, HDTV’s and more. 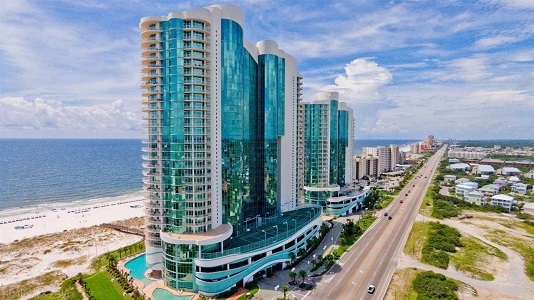 Come see what all the fuss is about, plan to see this Orange Beach condominium home today.